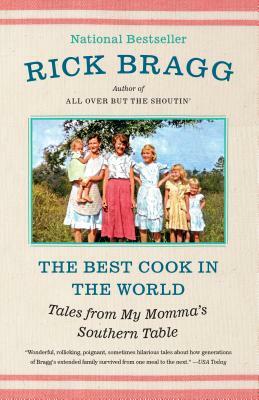 Part cookbook, part memoir, The Best Cook in the World is Pulitzer Prize-winner Rick Bragg’s loving tribute to the South, his family and, especially, to his extraordinary mother. Here are irresistible stories and recipes from across generations. They come, skillet by skillet, from Bragg’s ancestors, from feasts and near famine, from funerals and celebrations, and from a thousand tales of family lore as rich and as sumptuous as the dishes they inspired. Deeply personal and unfailingly mouthwatering, The Best Cook in the World is a book to be savored.